Sundays are for us Movie-Days. We love going to the cinema and forgetting about the upcoming monday between frames and popcorn, or just stay at home and choose the perfect movie. Where? Almost the whole movie takes place in Barcelona. In this Woody Allen movie you can see the most beautiful spots from the city: ‘La Sagrada Família’, ‘Parc Güell’, ‘Casa Milà’; ‘Tibidabo’ or ‘the Ramblas’. What do we love about the film?. Scarlett Johansson’s Lips, that our Penélope Cruz won an Oscar for screaming and going crazy, and of course, the location. We all are in love with Barcelona!!! Where? Tom Cruise (or Ethan Hunt) meets the character of Thandie Newton in Seville in a party (Flamenco performance included!). Where? 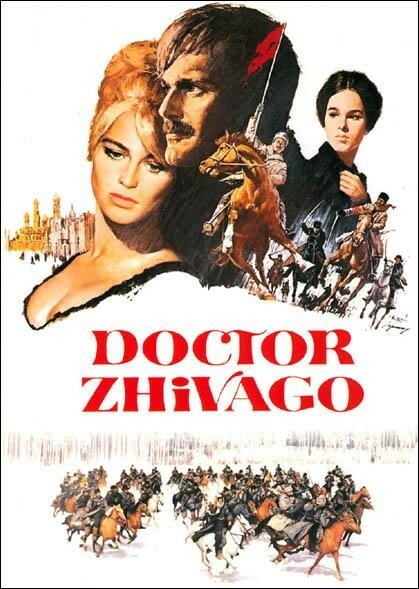 This five time Oscar winner was almost entirely filmed in Madrid. What do we love about the film?. It’s a classic. But what we definitely love the most is to wonder why they locate in Madrid to film it!. It rarely snows, and nothing looks russian at all! Where? 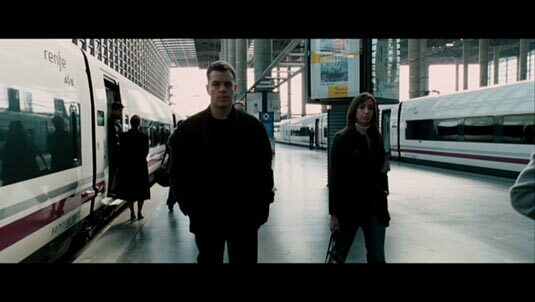 Jason Bourne needs to stop in Madrid looking for answers, where he finds his future lover who help him to scape. What do we love about the film?. It’s our favourite action movie. We find it intelligent and non-stop thrilling. And we love that Jason Bourne also stops in our country!. Where? The end of the movie and the final action sequence takes place in Seville. Because Spain also offers great movies, performers and directors, that can show you cool places all over Spain. But we will speak about them in a future chapter. Gran Via totally empty looks bizzare and scary! Vicky Cristina Barcelona is one of my favourite movies because of Woody Allen and Barcelona. I would also add ‘City Slickers with Billy Cristal. The first scene is set in Pamplona as the main characters take part in the bull run, and for Billy Cristal it doesn’t end very well 🙂 Anyway, great post! I can’t think of anything else. I’ll ponder. I’ve seen Vicky Christina Barcelona and loved it. Penelope Cruz short outburst truly is FOR THE WIN! Don’t really like Knight and Day but was so thrill for the tour that they did around Sevilla! The bullring has an awesome entrance of that scene. I also love the walk around the garden in the palace but I think they could’ve featured the whole Alcazar and Giralda better. Now that I’ve been to Barcelona I’ll be looking out for it in movies! We actually stayed down in Peniscola where “El Cid” was filmed. The you should see Vicky Cristina Barcelona again!, and we love peñíscola too! Quite impressive! We didn’t get it twice don’t worry! We’re so happy you liked our post! And no! it shouldn’t be your last trip here in Spain, there’s a lote of treasures hidden in this country! And is a Must to go to Madrid or Toledo! and don’t forget north Spain! Beautiful too! We will write a post about spanish movies soon, so keep connected, and we hope you like them! :). Be happy!!! oh forgot this (was in the other post I lost) Vicky Cristina Barcelona, loved it and the music ! Penelope steals the show as far as I’m concerned. I don’t like Woody Allen but Vicky Cristina Barcelona is one of my favourite movies. This movie is so like Barcelona – modern and artistic! 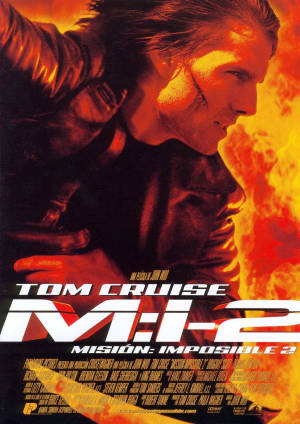 I liked Mission Impossible II. 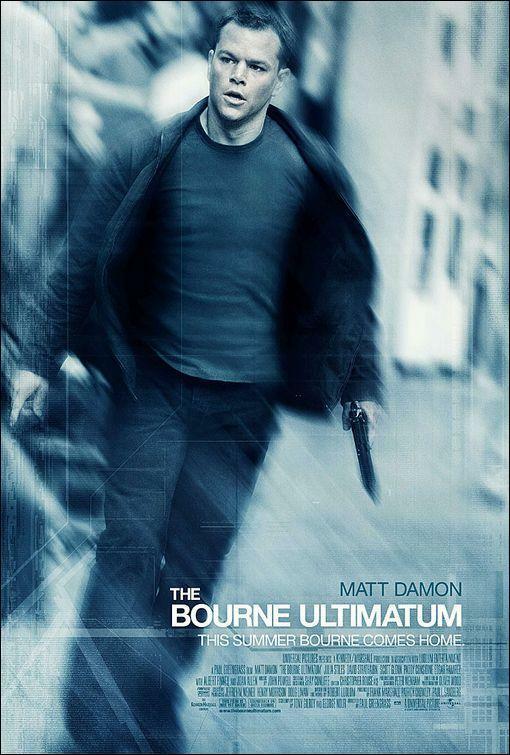 Borne Ultimatum too! Great blog. Thank you!!! We’re already preparing another road trip! Hope you enjoy reading!!! !